Kitesurfing cruises are the experience of a lifetime where freedom and flexibility are the name of the game. Follow the best conditions, escape the crowds and share experiences with fellow kiteboarders from all over the world. Down time is also important on this holiday- relax on deck or explore authentic ports and sleepy fishing villages. Whatever you prefer, one thing is sure- you don't get better sea views than these ones! Our range of kitesurf cruises ensures that there is something for everyone, whether you prefer Europe, Asia or The Americas, a yacht or a catamaran. Scroll down to find out more about what a kiteboard cruise has to offer and which cruise is right for you. 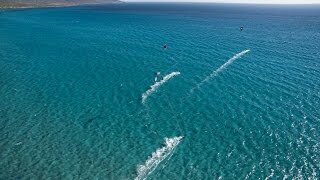 Which kitesurf cruise is right for you? Many of our cruises are perfect for advanced riders. Some cruises that are also suitable for beginners are offering on board instructors to help you progress and improve your technique. Check out cruises that have a package of lessons included if you are still learning the ins and outs of the wind window or analysis and supervision courses for advanced riders if you are look to polish up. If you are still starting your equipment collection or prefer to hire, make sure you check that this option is available as some cruises recommend you bring your own. What conditions are you looking for? Are you dreaming of crystal clear lagoons with water up to your waist? Or are you picturing yourself soaking up the swell? Many of our kitesurf cruises offer a large variety of conditions and have the great advantage of finding the best ones for the surfers on board, just make sure your dream conditions are included! Catamarans and yachts can offer fantastic sailing experiences and you will sometimes have the chance to help out on deck. For those hoping their deck time to be all about relaxation, however a motor yacht is as low maintenance as it gets! Kitesurf cruises are a great way of meeting new people, whether you are flying solo or accompanied by friends and family. For big groups, check out the option to have the boat all to yourself and for those travelling with non-kiters looking for some good old fashioned R&R, there are also great opportunities for paddle boarding, snorkelling and exploring the local area. Our range of kitesurf cruises is selected to offer kiteboarders the best experiences both on and off the water. Each listing features its own description of what you can expect and who the cruise is right for- cruises can also be a great opportunity for groups with non-kiters as the cruise's itinerary can be planned with the group profile in mind. For pure flexibility, you can also choose to rent boats exclusively for your group- the ultimate personalised experience. Scroll down further to learn more about the kitesurf cruises you can choose from - let the ocean be what you wake up to! Es war eine schöne Woche. Schöne Spots. Kiten stand immer im Vordergrund. Die Unterbringung ist einfach aber ausreichend für einen Kiteurlaub. Ein echter Pluspunkt wäre Wifi Verfügbarkeit. 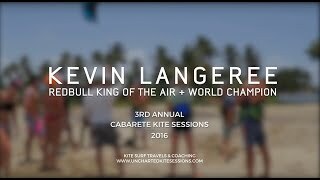 Our 7 Islands kite trip. what a day of our camp entails!